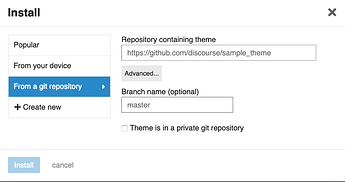 Discourse now supports native themes that can be sourced from a remote git repository, or from a .tar.gz archive. Recently we also added support for branches and private repositories. The git repository will be checked for updates (once a day), or by using the Check for Updates button. When changes are detected the Check for Updates button will change to the Update to Latest. Any of these files are optional, so you only need to create the ones you need. 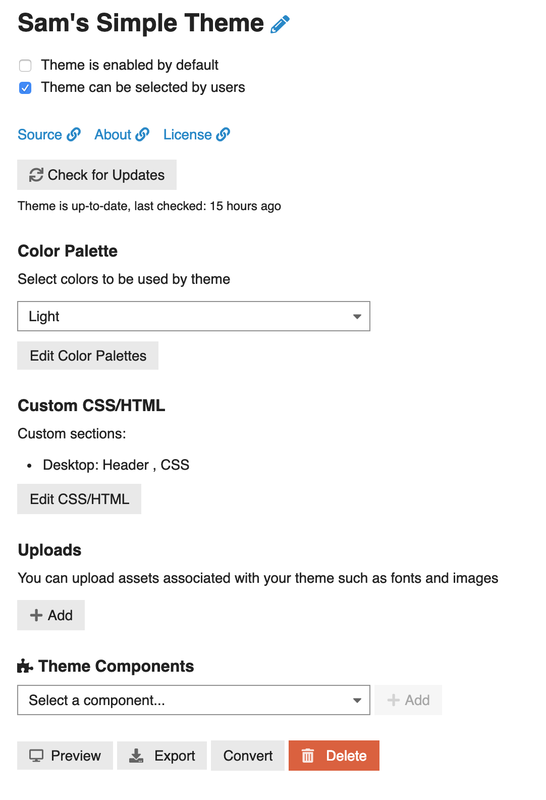 Instructions on how to add settings to your theme available here: How to add settings to your Discourse theme. 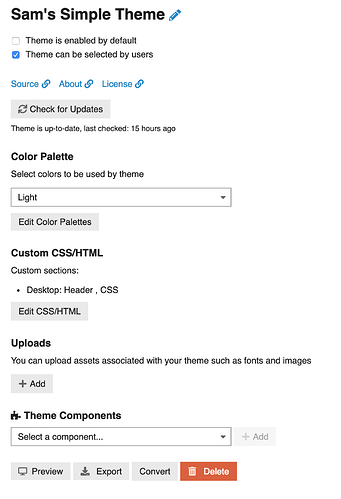 The file structure matches the theme custom CSS / HTML. Check out the other articles with the #themes tag. Do you have original customisations? 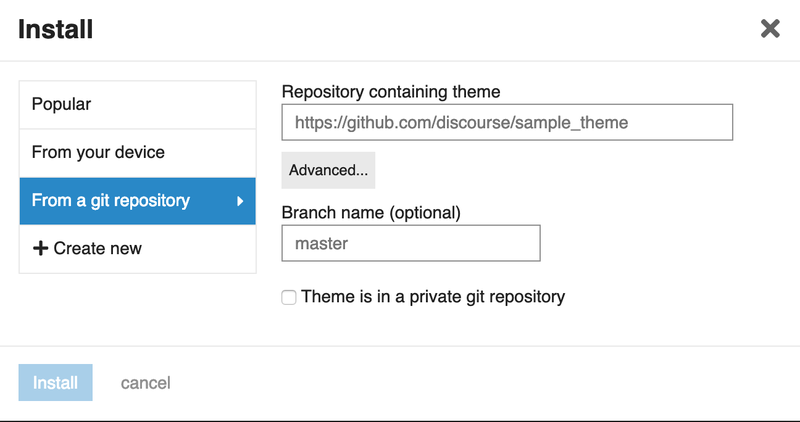 Discourse deployment using github or bitbucket? How to remove sticky top bar?